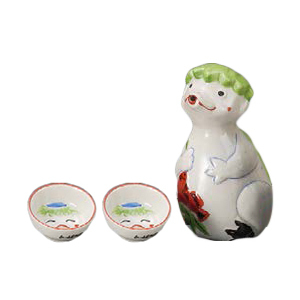 With each piece being carefully created individually by hand by the craftsmen, this a genuine handmade piece. 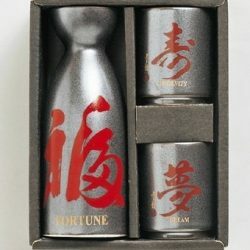 With the uniqueness of no design being duplicated, this sake vessel set is perfect for those who appreciate the concept of originality. 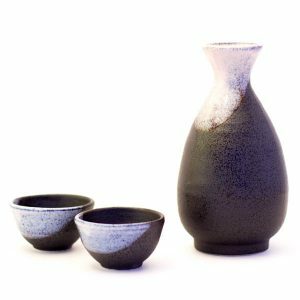 The tokkuri has the soft, curvy lines possible by handmade creations. 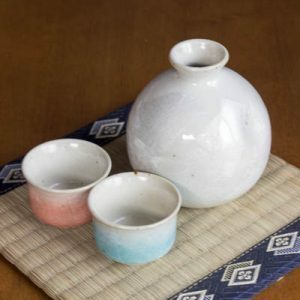 And the warmth felt from the vessel can make Sake lovers forget the sake vessel is made from glass. 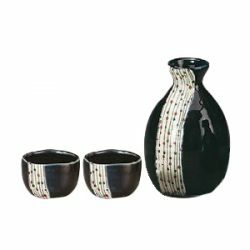 The organic curvy line design, the balance of the lines integrated with the glass, the small differences in the creation of the tokkuri is like a display of different art pieces. 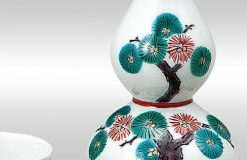 The pattern which may appear to be a tube of paint exploding in the water is actually a carefully created design noticed by close examination. 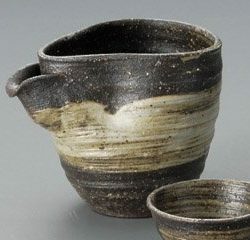 When examining the piece, Sake lovers may feel drawn in by the charms of the piece. 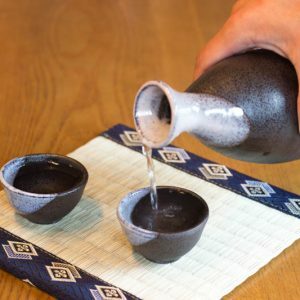 Sake lovers will grow to love the slightly distorted edge of the guinomi, making this the only one in the world sake vessel set truly your own. 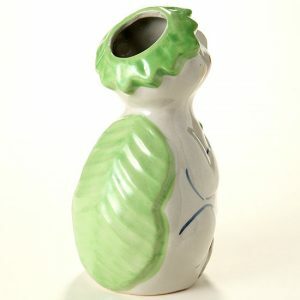 Looking at the design of sake vessel, we feel a soft, sweet amakuchi Sake will match the vessel. 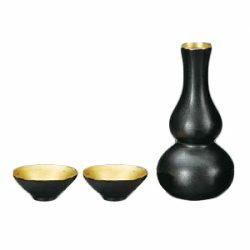 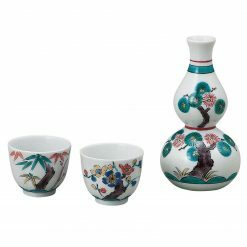 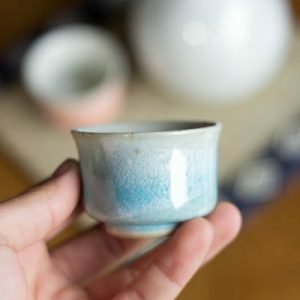 Or with its artistic soft design, not only can the sake vessel be used to drink Sake but it may use as a decorative piece to create a Japanese modern room. 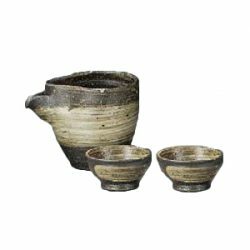 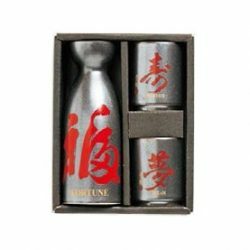 This sake vessel is recommended to Sake lovers who wish to spend leisurely time alone or enjoy peaceful moments as a couple. 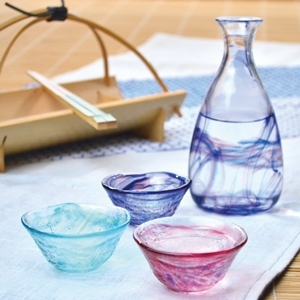 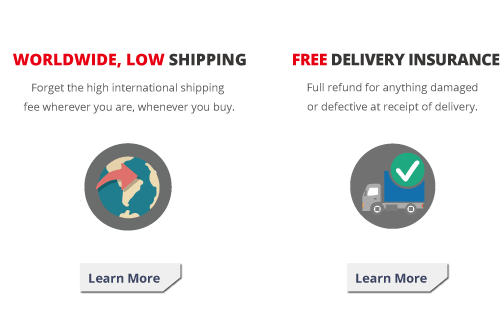 Because the colors of the guinomi are not the same, it is convenient when deciding the separate usages. 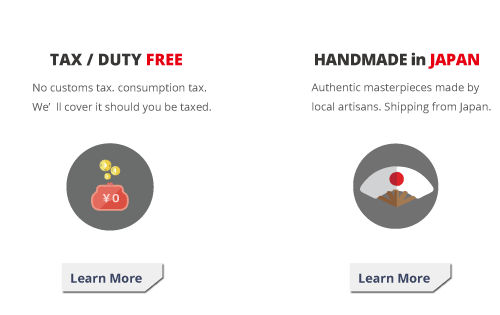 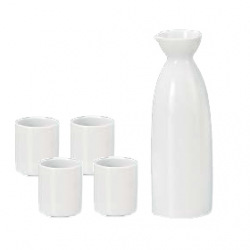 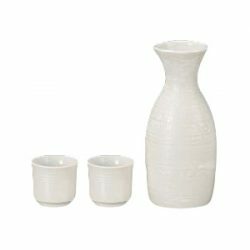 Easy to differentiate, the sake vessel is recommended for solo, couple, or even while entertaining friends.